The oldest operational lighthouse in the world ‘Hook Lighthouse’ launches online ticketing for the first time from today (June 19). 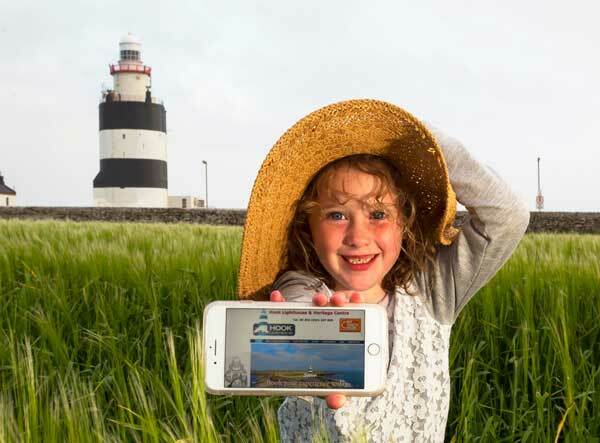 Following the busiest year to date, the team at the lighthouse on the tip of the Hook Peninsula in county Wexford aim to alleviate queues for visitors by making advance booking of guided tours for Hook Lighthouse available online. Hook Lighthouse is presently the most popular tourism attraction in Wexford and the third most popular in the South East region, coming in third after the Rock of Cashel and Kilkenny Castle respectively. In 2016 Hook Lighthouse launched an all new Ireland’s Ancient East tour during which visitors can climb the 115 well worn steps of the medieval tower while they step back in time and meet life-size figure of St Dubhan, telling the tale of monks who kept a beacon alight in the fifth century; William Marshal – the first Earl of Pembroke, who built the tower and married the daughter of Strongbow appears next, followed by stories of lighthouse life before automation. Visitors can also enjoy the vistas of the South East coast from the tower balcony and explore the previously private Lightkeeper’s Watchroom.